Composed by Johann Sebastian Bach (1685-1750). Arranged by Marco Ferrari. Baroque Period, Classroom. Score, Set of Parts. 8 pages. Published by marcocello (S0.282381). 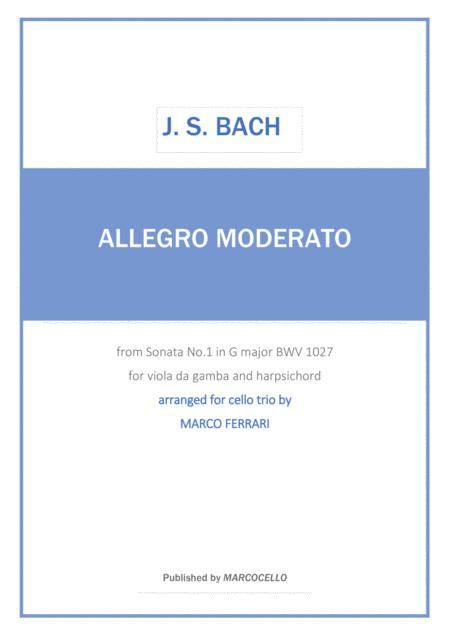 "Allegro moderato" from the Sonata No.1 in G major, BWV 1027 for viola da gamba and harpsichord, arranged for cello trio. Useful for student and class-group.